Movies Like Twilight: Supernatural Love Stories '+g+"
Twilight is a 2008 romantic fantasy movie directed by Catherine Hardwicke based on New York Times best-selling novel of the same title by Stephenie Meyer's. Its the love story of Bella Swan (Kristen Stewart) who moved to Washington to live with her dad for a while, finds herself instantly fascinated by the mysterious and handsome Edward Cullen (Robert Pattinson) an vampire. 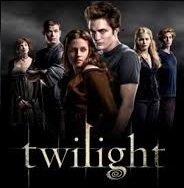 If you are a fan of romantic fantasy movies like Twilight then find the recommendations for it below and don't forget to mention if we miss any as we keep on updating this list. The Host is a romantic science fiction movie released in 2013. Earth has been invaded by body-snatching aliens who are making humans as hosts for their invaders, Melanie Stryder (Saoirse Ronan) will risk everything to protect the people she cares most about. Red Riding Hood is a fantasy thriller directed by Catherine Hardwicke. The movie is set in a medieval village of Daggerhorn, which is terrorized by a werewolf. The beast kills the older sister of Valerie (Amanda Seyfried). Valerie discovers that she has a unique connection to the beast which makes her both suspect and bait. Let the Right One In is a Swedish romantic horror film directed by Tomas Alfredson. It's the story of a 12-year-old fragile and bullied boy Oskar who befriends Eli a vampire child who only comes out at night. Blood and Chocolate is a 2007 fantasy horror movie directed by Katja von Garnier. It's the story of a A young teenage werewolf (Agnes Bruckner) who falls in love with a human (Hugh Dancy) must decide whether to follow her heart or honor her family's secret. Edward Scissor hands (1990),.....if you can think of more, then don't forget to mention it in comments.